Besides these precautions will be taken into account, once outside, the batteries and any type of battery (and even some cameras themselves) tend to be influenced negatively by the cold. 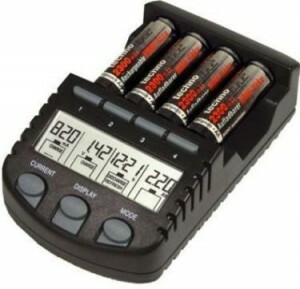 Most often, the batteries hold less or downloaded to some extent, if only momentarily while there are low temperatures. Keep batteries and cameras away from the cold, if you’re in a place without any heating, preferably bring them close to the body, isolated from the wind. The same applies to the transport of spare batteries. If a battery does not work because you are expected to cool, you can try heat generated by friction, rubbing it with both hands (like when you rub your hands to generate heat, but with the battery in the middle). Another option is to heat it near a heat source (single, fire, heat, etc..) Momentarily before going out to a cooler place, but doing so using fire or heat, you should be careful not to be exposed to excessive temperature (warming should be gradual and slow). Some digital cameras typically perform poorly or be “slowed” at low temperatures. TFT or LCD monitors can run slower, internal moisture condensation on the lens making the pictures come out “cloudy” or blurry, the camera slowly or do it wrong, etc. Therefore, it is highly recommended that you test your camera and their batteries at low temperature or high humidity “controlled”, and together independently. If you can not go to an outdoor area where it’s cold, you can for it (for example) using your own refrigerator or freezer in your home to see how they affect low temperatures. Some cameras the better resist cold and wet, others directly stop working or begin to give some kind of problems it is better to know before they spend in “real” situation, ie when you can not do something about it (as have spare batteries, buy a camera or a better battery, etc. ).